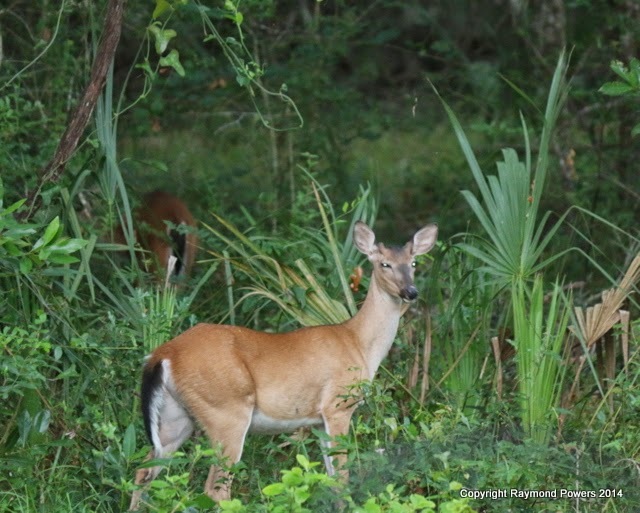 PURE FLORIDA: DASTARDLY DEER DATIL DEVASTATION ! DASTARDLY DEER DATIL DEVASTATION ! 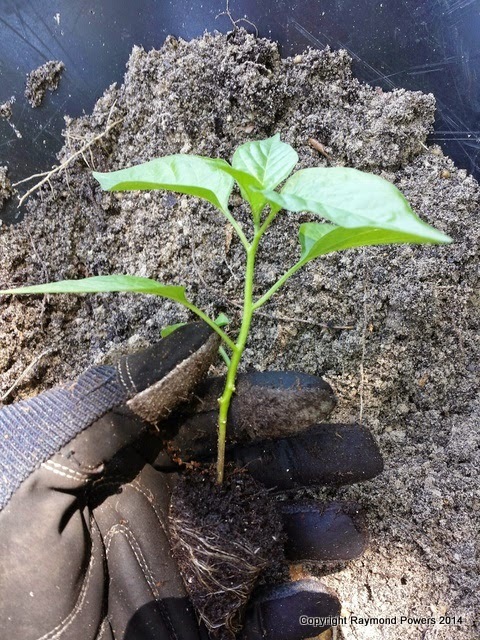 Two weeks ago ... one of my 36 datil pepper babies that I nurtured on the porch for the last 2 months. 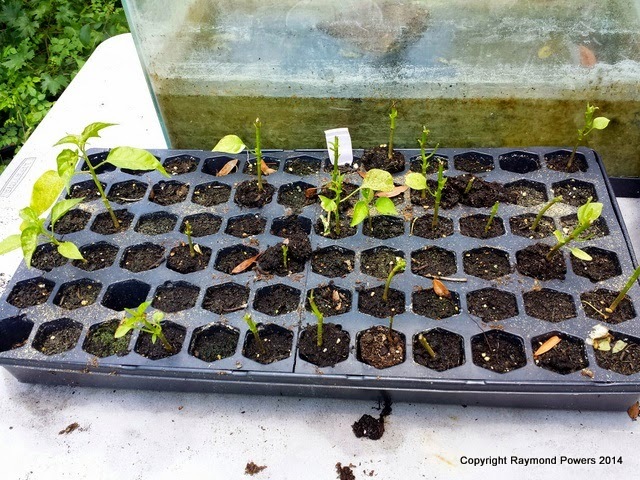 Ready for transplanting outside. Three days after moving the tray of datil starts to the garden bench area ... postdeerpocalypse. They ate the already potted datils as well as this tray of seedlings that were waiting for school to be out and a little time. I took this shot of the perps from my dining room ... not sure if I like the smug look on that young buck's face. Perhaps he is ignorant of the awesome barbeque sauce I make from my home grown datils ... or maybe he is ... was this perhaps a "preemptive strike"? 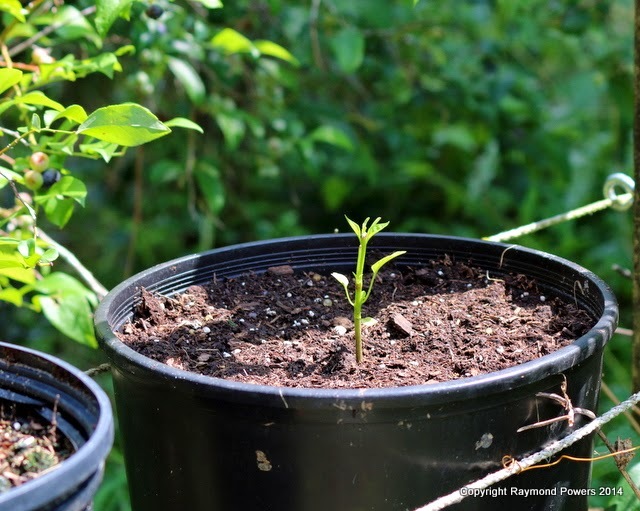 Like the tough Minorcan endentured servants who arrived here in the 1700's and claimed the datil pepper as their own, these little plants can overcome any obstacle. Just look at the post-deerpocalypse new growth on this guy. 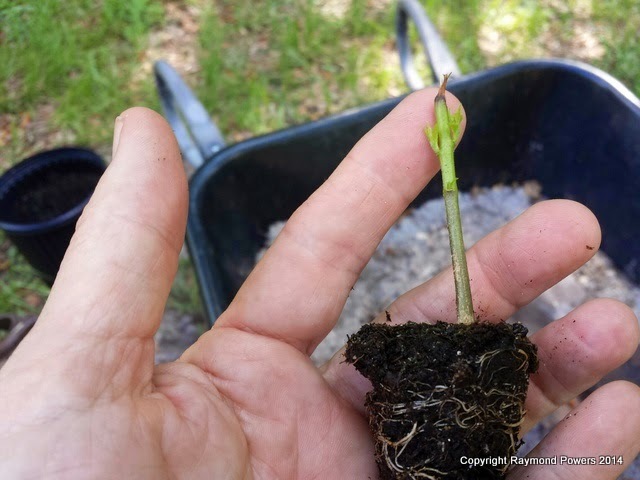 Protected by a dusting of ground cayenne and nurtured with MiracleGrow, these little guys are well on their way to providing me with datils in abundance ... we'll just be a few weeks off schedule. I overwintered a potted datil and I picked my first three datils today.The plant is loaded with peppers so hopefully I can make some more relish before we start to panic-only have 4 half pints left and the stuff is like crack! Any chance you might share the bbq sauce recipe? too funny, we're constantly battling darn deer too. we just call them Plant Eaters and give them the stink eye when we see them. Hard to give the two cute fawns that are in my neighbor's yard the stink eye, though. I don't know why it never occurred to me that deer would eat the pepper leaves. Is this unusual? I'm sure you'll get your plants growing again, as you've shown in this post. Flippin' rats got mine last week. They're just now starting to come back a little. I've been putting empty 1 gallon containers over them at night so it doesn't happen again. Deer, it is so sad to see the lovely greenery chewed upon! Bad Deer! Sorry about your setback, but, as always, I admire your grit and perseverance. Long may the datil pepper leave wave! Yes, Robin, this is an annual event...not the devastation of this year, but moderate damage until the plants are larger and carrying peppers. The cayenne sprinkles (from a big TONES container) seems to work. Myamuh, I wish I could say my datil BBQ sauce was a complicated creation, but it is really just some of my datil relish blended into a good basic BBQ sauce to taste. Awesome though. Give it a try. Irish Spring bar soap shaved with a grater around the plants. My friend in Pa. swears by it. May have to redo after a rain.